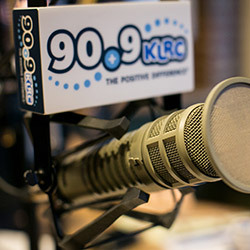 KLRC's New Online Listening Experience is Available Now! I'm guilty of inflating my role in things pretty often. Given the chance, I tend to make things "the Isaac show" in my own head. This obviously spills over into my relationship with God. In Ephesians 5 Paul points the husband and wife to look to Jesus as the foundation for them living at the role as husband and wife. Welcome to a Listening Life. You're invited to turn the attention of your heart and mind to this passage found in the Gospel of John, chapter 20.